Pre-employment screening is designed to verify information supplied by candidates on their resumes and applications. Investigations are also conducted to uncover character flaws and criminial tendencies that might jeopordize the employer, tarnish it's reputation, endanger staff or limit effectiveness of the candidate. Here are some of the items that employers can conduct during a pre-employment screening of job applicants. 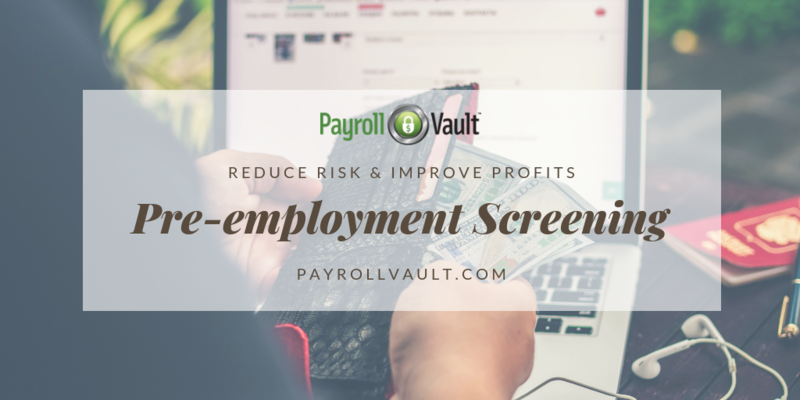 When you are looking for ways to save time and money to protect your organization and brand, contact us to learn more about your options on background screenings for your business.